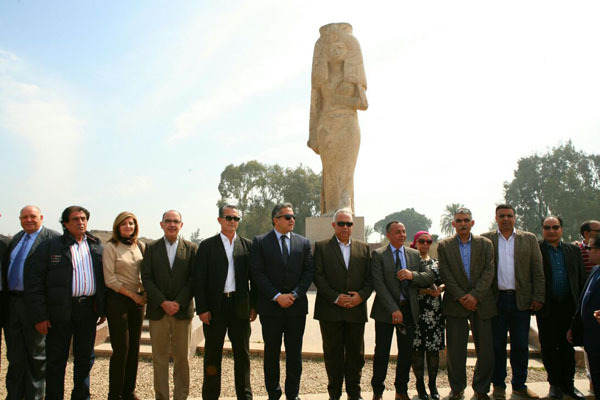 Egypt's Minister of Antiquities Khaled El-Enany and Sharqiya Governor Khaled Saeed inaugurated Saturday Tel Basta Museum in Sharqiya governorate after the completion of its restoration. The inauguration of the museum comes within the framework of efforts by the Ministry of Antiquities to increase the archaeological and heritage awareness of Sharqiya inhabitants as well as creating more tourist attractions across Egypt. During the ceremony, El-Enany announced that visits to the museum would be free this week to celebrate the museum’s long-awaited opening. 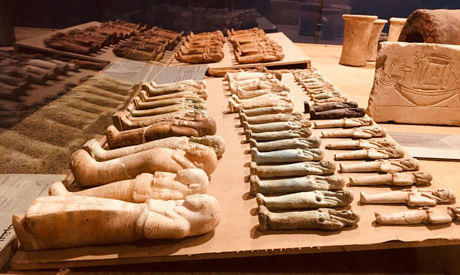 Waadalla Abu El-Ela, head of the Projects Sector at the Ministry of Antiquities, told Ahram Online that the ministry started construction work on the museum in 2006. In 2010, construction was completed but the project put on hold, resuming at the end of 2017. 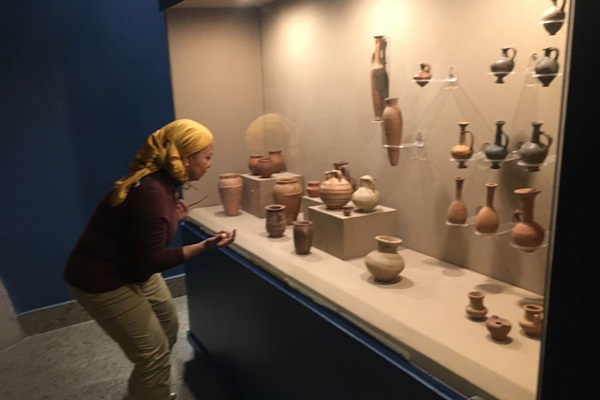 Elham Salah, head of the Museums Sector at the Ministry of Antquities, explained that the second phase of the project, concerning the interior design of the museum, aimed to showcase the history of Sharqiya and the excavation work that has been carried out within its boundaries. New lighting and security systems were installed and new showcases fabricated to host the artifacts along with descriptive panels on the history of Sharqiya. “The objects on display are the result of archaeological excavations in Sharqiya,” Salah told Ahram Online. 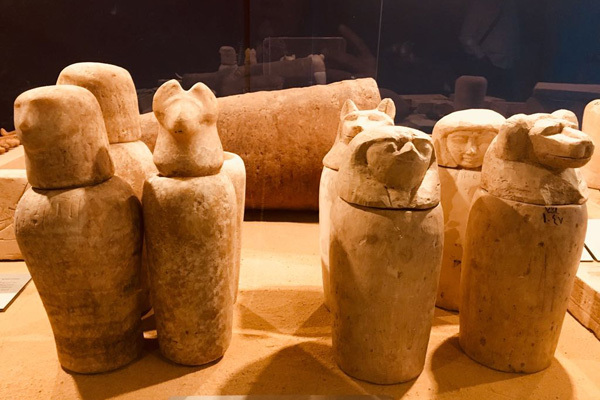 She added that the collection includes canopic jars, terracotta statuettes, clay pots of different shapes and sizes, domestic instruments, coins, statuette deities, tombstones, offering tables, and jewellery. One of the showcases is devoted to Sharqiya's main ancient Egyptian deity, the cat shaped goddess Bastet. French Egyptologist Pierre Montei discovered the Temple of Amun in Tanis in 1939 as well as a group of royal tombs from the Late Period, such as those for the kings Psusennes I and Shosinenq II. In 2009, the joint French-Egyptian mission discovered the location of the sacred lake of the goddess Mut’s temple, the second sacred lake to be revealed on the site. In 2013, in Tel-El-Yahudia area, a mission from the antiquities ministry uncovered a huge fortification of mud brick inside the Hyksos fortress, as well as a residential city on its northeastern corner. 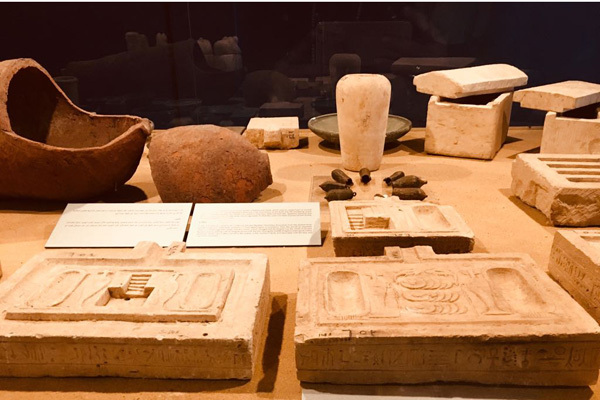 A collection of oil lamps and faience tiles once used to decorate the palace of the kings Meneptah and his father Ramses II was also unearthed. In Tel-El-Pharaeen, British Egyptologist Flinders Petrie discovered the ruins of the ancient city, including residential areas and the ruins of the city’s temple devoted to the goddess Wadjet.